In ancient Egypt of 3rd century BC, a facility was built which functioned as a library, a research institute, and a place for meditation, known as the ‘Museion’.▼1 Museion, which is described as the first museum, has since then evolved into a Studiolo or a Cabinet of Curiosities, which was a place in which various objets were collected and assembled for study by the elite, before it finally evolving into the modern museum of today. 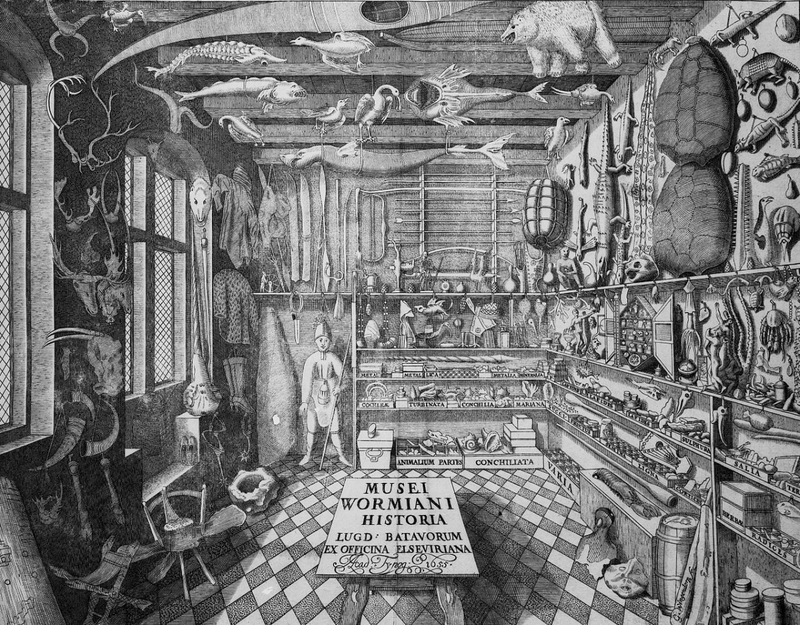 This Cabinet of Curiosities where artworks and objects that were favoured by the royalty and aristocracy were collected together for view and study and protected from damage, was first opened for public access after the French Revolution in 1793 at the Louvre Museum. The motive behind the Louvre Museum’s establishment, to share the ideals of a modern nation and culture as a public property, is also reflected in the identities of numerous museums today. With the expansion of the social influence of art museums, Eilean Hooper-Greenhill has developed critical reflections and a new paradigm regarding art museums since the 20th century under the concept of the ‘post museum’. According to her, a 21st century art museum expands upon the limitations of an art museum not only through evoking memories, feelings, conversations, discussions, and debates via artworks but also through active communication with its viewers. This has led to cafeterias, bookstores, art shops and other public facilities to find their place in museums, along with concerts, dance performances, film screenings, public lectures, and other various cultural activities, turning the museum into a multi-purpose cultural space. This was also accompanied by the commercial expansion of museum activities from familiar areas such as exhibitions, research, and education to marketing, management,​ and business. Furthermore, with the onset of the information age, various multimedia and tech-based tools and equipment have been brought in for the more effective management of the museum,▼2 and professionals such as educators (besides curators), registrars, exhibition display designers, archivists, conservators, and exhibition technicians have been recruited. Such changes signal a paradigm shift in art museums. In other words, ‘it led to a transition from material to experience, from conservation-focus to educationfocus, from enlightenment to edutainment (both education and entertainment), from supplier-focus to user-focus, from statefocus to region-focus, from standardisation to specialisation, from offline to online integration, from bureaucratism to business rationalism, from curatorial organisation-focus to professional-focus, and from sedimentation of memories to creation of the future.’▼3 It is significant that the motif of these functional and organisational changes aligns itself to the actual functioning agents of the art museum - i.e., the ‘visitors’ and ‘professionals’. This also proves that the essential functions of the art museum - i.e., its professionalisation and popularisation - are being handled in a balanced way. The tobacco processing plant taken over by MMCA Cheongju was ruled over by pigeons until Jan. 2011, since its closure in 2000. 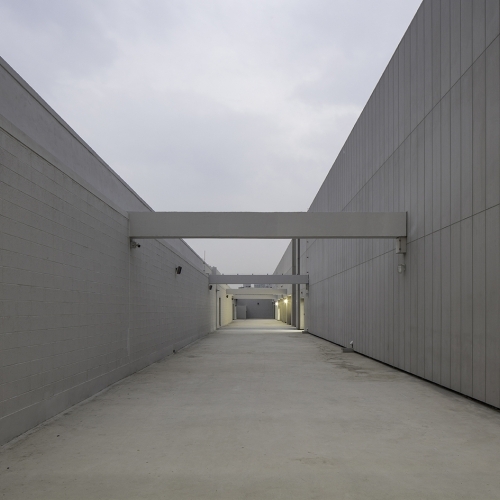 What triggered its cultural transformation was the moment it was selected as an exhibition space for the 2011 Cheongju Crafts Biennale. The decision made by Han Beomdeok, who was the​ Mayor of Cheongju back then (and still the current Mayor), to listen and respect the opinions of professionals including Chung Joonmo (director at 2011 Cheongju Crafts Biennale) on how to carry out the project, must be remembered as a special moment. This decision made in 2011 which became the cornerstone for MMCA Cheongju. The abandoned factory that was left unoccupied for such a long time was dark to the point of requiring a flashlight to navigate, and it seemed too dangerous for entry. However, there was no doubt that this building was special as it embodied ‘modernity’. While the grid system, which appeared in the works of Le Corbusier, Piet Mondrian, Kazimir Malevich, Sol LeWitt, and Donald Judd, overlapped with the European art museum spaces that were already practicing spatialisation of cultural facilities using abandoned locations, the potential of this building to be transformed into a cultural base appeared reasonable. 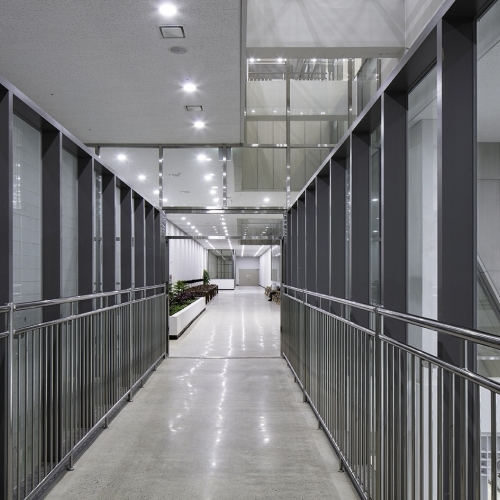 Finally, in 2018, the MMCA Cheongju opened its doors. The remodeling work of Cheongju Crafts Biennale hall, which is operated by the local government, is also on the way. 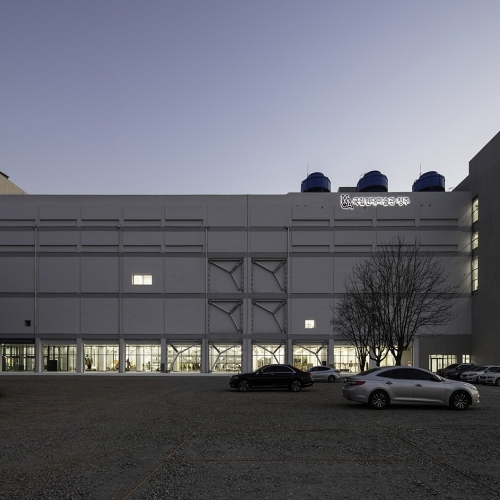 The Cheongju branch project began from 2012, but the given time was not generous. There were the two major aspects, which needed enough time to do, behind the realization of the Cheongju branch: the construction of the remodeling process, and the integration between securement and management of the distinguishable features of its branch. This may be because of the differences between the estimated time at the administrative level and the actual time used to carry out the task, which is a common issue arising in central government as well as in regional autonomous governments. Also, the habitual lack of interest towards a software expansion for the sake of focusing time and budget on hardware establishment must also have been part of the reason. Moreover, as the software of the MMCA Cheongju branch achieves a unique identity as a space where the collected items are revealed, questions such as how these collected items will be stored, managed, researched, and be taught to others will follow. Consequently, the storage policy of the MMCA, the development of its direction regarding storage, as well as the current classification of the stored artworks, are tasks that must be carried out to establish a base upon which research work regarding key artworks of the museum, museum’s core themes and artists, and independent education programmes must be built. This will allow for future reorientation of policies regarding the collections as well as international branding and marketing. In this sense, a medium to long-term visionfor Cheongju branch should be put in place and be enacted, but unfortunately, it seems that there are no such plans yet. 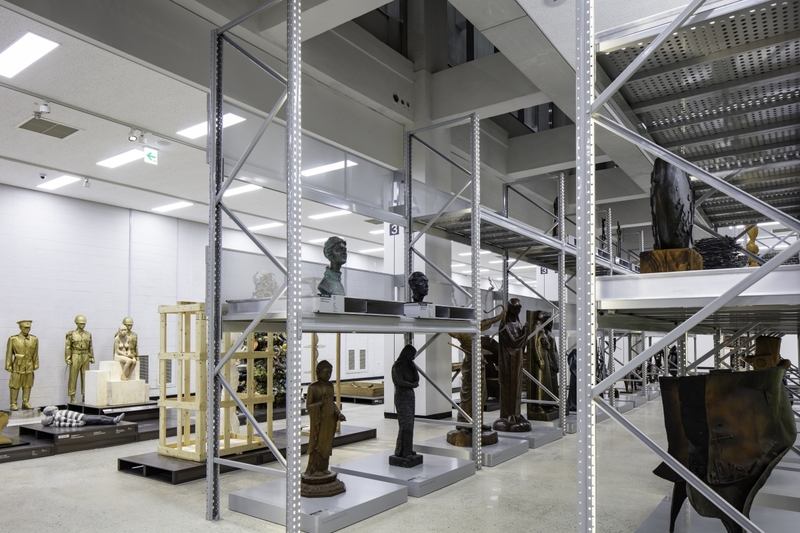 The Museum of Anthropology at University of British Columbia, which opened in 1976, is well-known as an art​ museum in the form of a storage facility alongside the Schaulager in Switzerland. Other than its function of preserving artworks and relics, this exhibition/ storage art museum also carries out its role through exhibitions, education, providing information, and sharing experiences with its visitors. 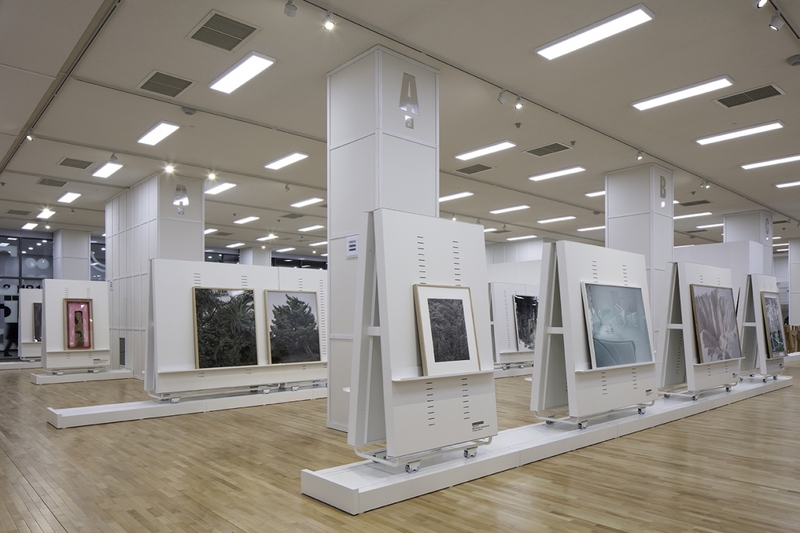 As a ‘visible museum’, the Cheongju branch must also make sure that exhibition is delicately connected to its relevant functions. There are always interesting new ideas for putting on educational programmes. Examples such as the drawing programme at the Rijksmuseum in the Netherlands, the ceramic gallery workshop at the Victoria and Albert Museum, and the various workshops and discussions geared towards a young audience in Tate Britain are all cases that have managed to intimately connect and reinforce the intrinsic functions of the art museum with education. This will require time for contemplation, but it must be stated beforehand that this must also show connection with the unique feature of the Cheongju branch. As a feature that was highlighted at the museum’s opening, the Conservation Science Laboratory needs to be improved in that it should not simply be posting information but also organising special programmes for the general public and professionals. While there may be instances when the work of the Conservation Science Laboratory needs to be done privately, according to the state of the artwork and the method of conservation, the potential behind conservation science to create new content by integrating art and scientific technology is significant. The spatialisation of an idle space in an art museum does not happen spontaneously but require very detailed strategic planning. There is a tendency among Korean public organisations to be stingy with the time allocated for contemplation and planning. 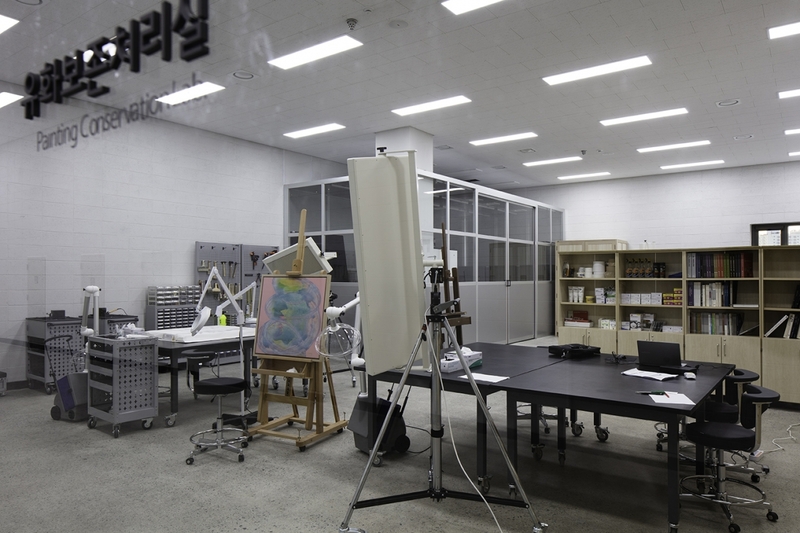 Upon looking at the spatial composition of the Cheongju branch, it seems that the emphasis is on artwork storage and conservation science. In contrast to the ideas that they have put forth, such as ‘visible storage’, the management of the exhibition’s education programme, and the cradle of artwork conservation science, it seems that the stress is mostly placed on the opening of the Cabinet of Curiosities. It appears that it will take some time before the visible conservation science room and the Larchiveum are fully open for access, and the education programme will also require a special accompanying plan. The problem, however, is that such improvement work will no doubt be affected by the work that is piling up within the museum itself. The exhibition planning of the MMCA’s four branches is currently being managed by one chief curator, resulting ineffective administration, and the post of director of the MMCA is still left empty. 1. Chun Jinsung, History · Civilizations, (Salim, 2004), p. 12. 2. A. Mintz, ‘Media and museums: A museum perspective’, In S. Thomas, & A. Mintz (eds. ), The Virtual and the Real : Media in the Museum (Washington D.C.: American Association of Museums, 1998). Culture & Tourism Institute, 2002), p. 14. Park Namhee completed her studies at Hongik University with a bachelors, masters, and a doctorate in Fine Arts. By organising exhibitions and engaging in art critique from 1998 to 2015, she contemplated contemporary art and social change with her students at Hongik University, Dankook University, Seoul National University of Science and Technology, Sookmyung Women’s University, and Sangmyung University. She has worked as a post-doctoral researcher at Hongik University’s MMDC, an adjunct professor at Seoul National University of Science and Technology, an executive curator at 2011 Cheongju Craft Biennale, a main exhibition director 2013 Cheongju Craft Biennale, and since 2016, served as the director of Education Division at the Asia Culture Institute (ACI) in the Asia Culture Center.